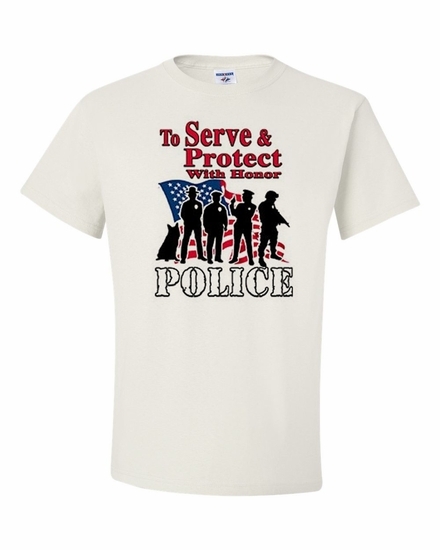 Let your local police department know you care about them with our To Serve & Protect with Honor-Police t-shirts and sweatshirts. For a thoughtful and unique gift, add a To Serve & Protect with Honor-Police coffee mug for their favorite beverage. Remember� you found the To Serve & Protect with Honor-Police Shirts at TShirtHub.com, where high quality came at a low price.